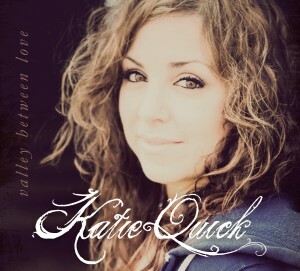 Katie Quick to debut new album May 10; celebrate its release at Joe’s Bar on May 14. This former Chicago Public Schools teacher turned Nashville recording artist, Katie Quick, is no stranger to Country Music Chicago. From her early days playing for Yard Fulla Cars here in Chicagoland, to her move to Nashville to pursue her recording career, we’ve had the extreme pleasure, to watch in awe, while Quick grew as an artist and followed her dreams. And all of her hard work and determination has paid off. On Tuesday, Quick will release her sophomore album titled “Valley Between Love”, an album the artist has independently been working on since her move last year. Quick discusses her decision to move from Chicago to Nashville in pursuit of music. Since her departure from the Windy City, it’s been a semi-clear path for Quick in Nashville. With her focus on writing and determination for a new album, Quick quickly got to work writing and eventually teamed up with Chip Hardy — a veteran Music Row producer for the likes of George Strait, Reba McEntire, Waylon Jennings — and “Valley Between Love” was born. Throughout this process, Chicago’s was of course still top-of-mind for Quick and the album’s pre-release track, “Chicago Summer Nights” explores memories of growing up in The Windy City. Soon, Quick will have another Chicago almost-summer night to write about. On Saturday, the country singer is making a special stop at Chicago’s Joe’s Bar, 940 W. Weed, for an exclusive album release party starting at 8PM. Tickets are available through ticketweb.com and the Joe’s Bar Box Office.